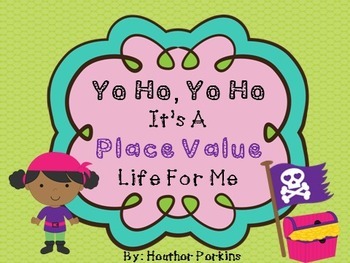 This packet is all about differentiating and place value (aligned to several place value CCSS for various grades). There are different versions of the same activities that vary in difficulty and use thousands, hundreds, tens, and ones place; hundreds, tens, and ones place; or just tens and ones place. 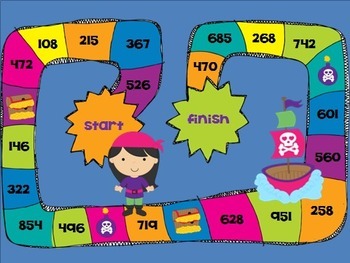 Around the Board Place Value: A board game to practice writing numbers in expanded and word form. 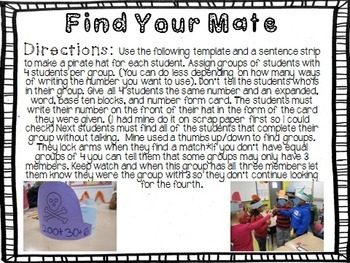 Greater Than Less Than Pirate Sort: Students will add numbers on cards to find the sum and sort by greater than, less than, or equal to. Skip Counting Puzzles: Students must find the skip counting pattern and put the numbers in the correct order to create the picture. Download the preview for more images of what's included.